Fantasy Premier League managers have a last chance to pour over the pre-season minutes data before the Gameweek 1 deadline passes. Leicester played five pre-season fixtures this summer. The maximum possible number of minutes that could have been accrued by one of their players was 450. Schmeichel’s late return to training following the World Cup is the only reason he is not further clear of his colleagues for pre-season minutes. He is expected to be the key man in goal again this season. Morgan has been used more than any other Leicester defender in pre-season making him the most assured of a start at Old Trafford. Chilwell was not far behind him. There could be an involvement for versatile man Johnson who is capable of playing either centrally or at full-back. Benalouane’s pre-season exploits were curtailed by his World Cup leave following a trip to Russia with Tunisia, but may have to play against Man United with Evans’ injury. Leicester’s midfield looks like a bit of a no-fly zone for Fantasy managers with assets such as Diabaté, Amartey and Iborra all the most used in pre-season but with little Fantasy appeal. Maddison played a big part in the Foxes’ summer campaign but has now picked up an injury. Iheanacho was the most-used centre-forward in pre-season paving the way for a start at Old Trafford in light of Vardy’s absence. However, the Nigerian was still a latecomer following the World Cup. Liverpool played eight pre-season matches making the most number of minutes possible for any player 720. Karius actually played a large portion of pre-season for Liverpool but is obviously now second-choice behind new signing Alisson Becker, even if he has only appeared in two summer friendlies for the Reds. Popular options Robertson and Van Dijk look set to play oin Gameweek 1 after being used extensively in pre-season. Injuries to Matip and Klavan mean that Gomez should take the second centre-back slot but his minor issues in the last few days could even open the door for Phillips to play – only Robertson registered more pre-season minutes than him among Liverpool defenders. Any worries over whether new signings Fabinho and Keita will be involved in Liverpool’s first-team this year should be played down by their pre-season game-time. They were in the top three most-used midfielders during the summer, with Fabinho in particular, regularly involved, although he is a doubt for Gameweek 1. Attacking midfielders like Salah, Mané and Shaqiri would have played more if it wasn’t for the World Cup, but have been back long enough to be pushing for starts this weekend. There are some interesting alternatives to Firmino if Liverpool opt not to use him too much at the start of the season, although he should be fresh given he played only a few minutes with Brazil in Russia. Sturridge looks like the most likely to come in for Firmino if need, as the most-used Liverpool forward this summer and their top-scorer for July and August too. Manchester City played just four pre-season matches, the last of which was the Community Shield final. The maximum number of possible minutes for one of their players was 360. Bravo could start for Man City against Arsenal after Ederson’s pre-season absence helped him register a large chunk of minutes in goal. Of the first-team defenders at Manchester City only Laporte was used in more than one match. Other than that, we don’t have a lot to go on, other than the fact that Mendy and Walker will probably start in the full-back positions. Again, like City’s defence, there is little to go on when it comes to first-team midfield. Foden should feature in the early weeks as the most-used player for the Citizens in pre-season. Mahrez and Bernardo Silva should also be involved too given how often they were deployed this summer. Aguero’s start in the Community Shield, with Jesus on the bench, indicates he should be first-choice for Man City in Gameweek 1, although the pair did spend some time in a front two in the second-half of that match. Man United played six pre-season friendlies for a total of 540 minutes. David De Gea has returned from his summer leave in time to nearly match the other goalkeepers at Man United for minutes in just two appearances. He is almost certain to start in Gameweek 1. Bailly and Smalling were the most-used centre-backs in pre-season but Lindelof and Jones may have to be named in the line-up against Leicester if either of them does miss out through injury. Shaw and Darmian have been the key men in the full-back areas this summer, only Bailly registering more minutes. None of Man United’s forwards on FPL are looking completely match-ready for Gameweek 1. The only one who played in pre-season was Rashford, who managed just 65 minutes in the final friendly of the summer. Newcastle played five friendlies over the summer. The most minutes one of their players could have played was 450. A Dubravka injury that needs assessing is the reason why Darlow has been registered more pre-season minutes for Newcastle than any of his goalkeeping colleagues. If Dubravka fails his fitness test, it will be Darlow starting against Spurs. No Newcastle defender managed more game-time in pre-season than Yedlin, securing the right-back spot as his own once again. Club captain Lascelles was the most-used Newcastle centre-back in which cements his place in the starting line-up too. Clark should play alongside him given his minute-count was only just behind his skipper, while the left-back position is less settled, with Dummett and Manquillo playing a similar amount of time over the summer. Ritchie registered more pre-season minutes than any other Newcastle player, while Atsu should start out wide on the opposite flank. Diamé was not far behind Ritchie while Shelvey only missed some of the summer programme through a minor injury. Newcastle’s striker situation is difficult to assess as Perez was the most-used in pre-season but Benitez has since added Muto and Rondon into the mix, who are surely set to start games eventually, given the decision to sign them. 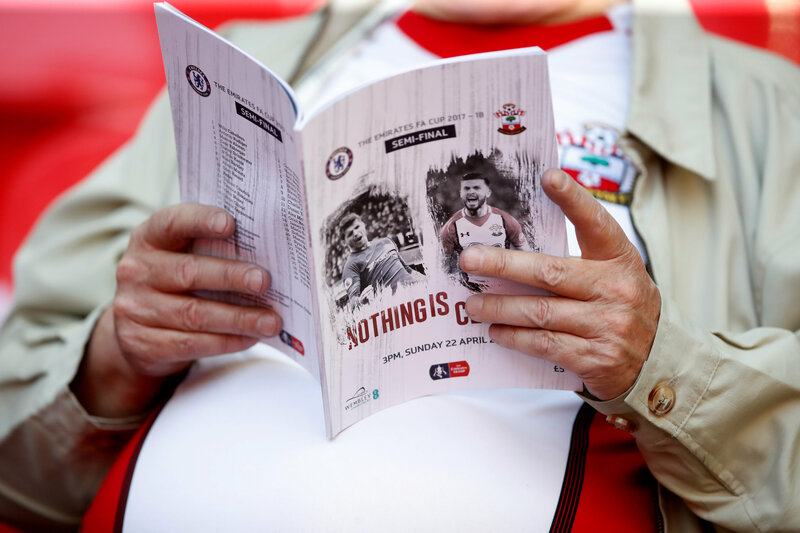 Southampton played six pre-season friendlies, making maximum game-time for their players 540 minutes. McCarthy’s extensive game-time in pre-season compared to his colleagues proves he is the number one goalkeeper for Southampton this season. Hoedt and Bertrand are almost certainly guaranteed to start based on their heavy involvement in pre-season. Vestergaard was an ever-present in the line-up after he completed his transfer from Borussia Mönchengladbach while, despite registering 335 minutes, Stephens could be at risk. The totals above could be somewhat misleading – Bednarek played fewer minutes than Stephens but was involved in every match after his return to training following World Cup leave, often at his expense. New signing Armstrong has been used by Mark Hughes more than any other Southampton midfielder in pre-season, which should see him play a role in Gameweek 1. Romeu’s 288 minutes make him one of the reliable £4.5m midfielders who looks guaranteed to play. After being involved heavily early on, Ward-Prowse and Redmond’s pre-season minutes dwindled towards the end of the summer. Gabbiadini looks like the most assured of a start in the Southampton front-line after being the most-used forward of the summer. However, Austin was not far off despite manager Hughes managing his game-time after injury ended his 2017/18 campaign early. The arrival of Ings obviously complicates things long-term but his pre-season programme at Liverpool did not feature too much game-time, handing Gabbiadini and Austin the advantage early on. Spurs played four matches in public this summer making the maximum game-time possible by one of their players, that we could calculate 360 minutes. The Spurs’ goalkeeper situation for the early Gameweeks is a little unsettled. Lloris has not played a single minute of pre-season while Gazzaniga and Vorm shared minutes over the summer. Davies looks the surest option when considering the Spurs defence but absences elsewhere means that he is likely to be deployed at centre-back, as he has been during pre-season. Walker-Peters should get a start on the left-flank while Aurier should be secure of a start before Trippier returns to full-time action. If Kane is not declared fit for Gameweek 1 then Llorente should lead the line. No other Spurs forward managed as much game-time as him in pre-season, where he found the net four times. Watford played five friendlies over the summer making the maximum possible game-time available for one of their players 450 minutes. Foster looks set to be the number one goalkeeper for Watford after getting more game-time than Gomes in pre-season. Janmaat and Kabasele look to be the most important Watford defenders after extensive game-time during the summer. Holebas and Catchart were also used enough times to be expected to have Gameweek 1 involvement. It is hard to predict who will play in midfield for Watford after only a few of their first-team options were involved in pre-season action. Sema and Pereyra look fair secure of a start with Capoue and Hughes also featuring. It is hard to call which of Watford’s two key strikers is first-choice right now with them largely sharing minutes in pre-season. An unsettled area of the Hornets squad, at least for now. West Ham played seven friendlies this summer making the maximum possible amount of game-time for one of their players 630 minutes. While it is believed Fabianski should be the first choice for West Ham, his late return to training following World Cup leave meant that Adrian played in goal for most of pre-season. West Ham’s defence looks to be largely unsettled, at least until we see more competitive team-sheets. Masuaku played more minutes than any other Hammers player this summer but Cresswell came back into the equation in the final match. Three centre-backs all stand a chance of starting in Gameweek 1 with Diop leading the way, Ogbonna just behind on minutes played, while Balbuena started very match after his arrival. The right-back slot appears to be between Zabaleta and Fredericks with the pair playing similar minutes. Noble and Obiang were both used extensively in deeper midfield roles. Further up the pitch, Snodgrass stands an outside chance of some involvement despite the reinforcements in wide area. No Hammers winger managed as much game-time as him over the summer, while Yarmolenko and Anderson registered just 195 and 162 minutes respectively. Arnautovic looks very nailed-on to start as West Ham’s striker this season. Chicharito might complicate things when he is match ready but his return to pre-season was delayed by his involvement at the World Cup. Wolves played eight pre-season friendlies, of which two lasted just 45 minutes. Therefore, the maximum amount of game-time available to their players was 630 minutes. As expected, Patricio should be the number one goalkeeper for Wolves this year. Despite coming back late from the World Cup, he still managed to overtake both Ruddy and Norris for pre-season minutes in time for Gameweek 1. Coady, Doherty and Boly appear to be the surest ways into Wolves’ defender. Bennett could have a role as a starting £4.0m defender too. Neves and Costa’s importance to the team was shown by his 486 minutes played in pre-season, the pair accruing more than any other midfielder. Jota was used extensively in the front line while Moutinho and Gibbs-White both played in the middle of the park enough to be considered for a Gameweek 1 start. Despite returning to training late following World Cup involvement with Mexico, Jimenez was only just behind Bonata for pre-season minutes. He should lead the line against Everton. Comes down to this which is best? I would go with B. If A i would take Eriksen because safety of starts. Shall I just flip a coin? Bilva for the first GW´s. Then wait and see how Pep is lining up with all WC-players back. Man City will win the trophy again, so the more MCI players you have the better for you! Plan to keep it for 2 weeks and add some Arsenal players after. Mhiki to Townsend and Trent to Robertson? Think I’ve broke the template enough with this? Bench is atrocious but hey ho! Where can this be improved? this year, remember my words! willian or mkhi? or any other 7.5, suggestions! 7.5 not the best value IMO. Maybe choose one of many good 6.5s and upgrade 1.0 elsewhere? best 4.0 GK that might start Hamer ? Does Stones seem likely to be in the City starting 11?